As a result of feedback from regular recipients of our monthly newsletter, I have decided to cut down on detail in the reports submitted by the tourist guides. This will result in a shorter newsletter that I am advised will be more “user-friendly”. December 2017 and January 2018 have been unusually dry. The rain that has fallen has been patchy – for example after 2 heavy cloudbursts, Tremisana Dam is 100% full, whereas Tshukudu – a mere 12 km away – has had no rain. Similarly in Kruger Park some areas north and east of Satara are very dry whereas further south there has been substantial rain. Lion and lioness on very dry veld. The effect of the irregular rain is that most grazers such as wildebeest, zebra, waterbuck, buffalo and white rhino have moved to areas where there is available pasture. As a result, sightings of these species has been very limited in the Olifants West section of Balule Reserve. You may recall that in my November 2017 letter, I indicated that there were no buffalo to be seen in our part of Balule. For those afficionados whose primary aim was to tick off all Big Five it became an issue. Luckily, Viva Safaris goes to Kruger proper and we are able to see buffalo there. For those tourists who book longer safaris we were able to show them buffalos also on Motlala Reserve where we had a 100% success rate and Tshukudu Reserve where we had a 90% success rate. The trees have had plentiful foliage since September 2017 so all safaris conducted from Tremisana enjoy sightings of animals that browse such as impala, kudu , black rhino and giraffe. Now that the rains have fallen around Tremisana we are seeing more animals, especially elephants. We expect the buffalo herds to return soon. From my last newsletter, you may recall that I am putting time and energy into a new project aimed at significantly improving the lives of communities in Acornhoek. PLEASE assist by letting all your friends and family know about this wonderful enterprise. · Amazing Birds of prey including African Fish Eagle, Martial Eagle,Tawny Eagle and Brown Snake Eagle. 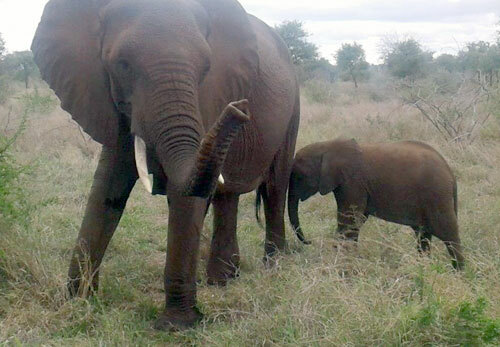 · Breeding heard of 80 elephants at Nsemani. · Pride of 15 Lions. · A good ostrich sighting with a big Bull Elephant in the background. · White Rhino near Nsemani. · 25 Wild Dogs eating a scrub hare. · Elephants and Buffalo at exit gate. 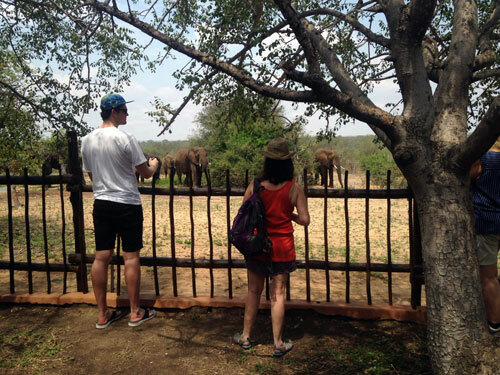 · Elephants close to the fence at Satara Camp. 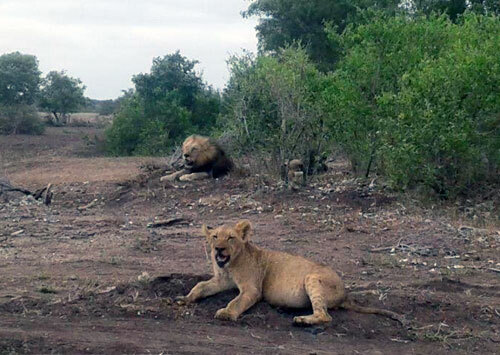 · Male lions north of Satara. · Leopard right at the end of the day just before we left Kruger. It’s still baby season and predator activity has increased dramatically. At Nsemani we found multiple breeding herds of Elephants swimming and splashing around. We went on the S100 as we heard about a lioness. North of Ngotso Dam we found a huge pride of lions. Just before Bobejaankrans there was a pack of wild dogs. We went on towards the S106 where we found rhino and leopard – what a day in Kruger and what excellent sightings !!!! On the H1-3 we came across a buffalo herd with some scarily big bulls. Next a breeding herd of 150-200 elephants breaking branches in front of us ! On the S126 we found 2 male lions lying down. Every now and again they would do a turn with all 4 feet in the air ! All Big Five : lions on S100, ellies all over, buffaloes at Orpen pan, rhino at Orpen and leopard on H1-4. Pride of lions eating a Giraffe. 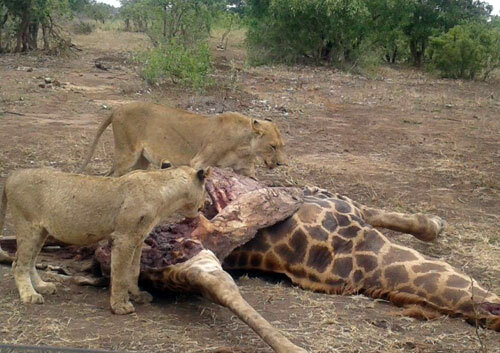 Lions on a Giraffe kill. 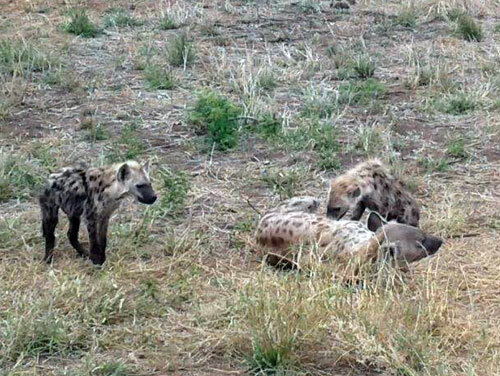 15th : Wild dogs on H7, hyenas on R36. 19th : Lions and Wild Dogs at Nkaya Pan, buffaloes and elephants Welverdiend pan, lioness at Sweni windmill, lions again at Nwanetsi bridge and leopard at Nsemani dam. On the 3rd I again delivered all Big Five to my guests : we saw elephants Nsemani dam washing, lions Sweni windmill, buffaloes Welverdiend pan, leopard Rockvale pan and white rhino after boom gate. 25th : lioness on S41, hyenas on H7, wild dogs at Ratelpan, Cheetahs on S40 and Elephants all over. 27th : lions on S100, Elephant herds at Nsemani dam, buffaloes Welverdiend pan, wild dogs S40 and a beautiful leopard on Rabelais. The Natal Mahogany had some fruits and we saw Trumpeter hornbills. 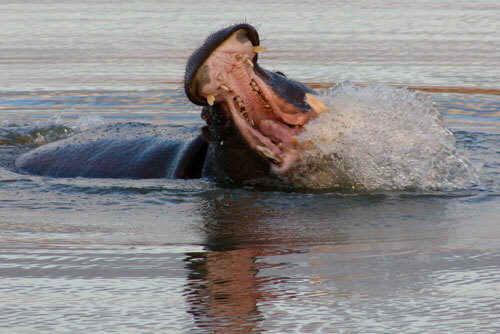 The level of the water of the Olifants River is fluctuating and the hippos are changing spots. General game and many elephants. Because of heat, we leave at 15h00 and concentrate mainly on the Olifants River. On one particular day, we saw general game such as zebras, kudus, giraffes, impalas, steenbok and then we stopped for our drink and watched the sun go down. After dark, we spotted a small spotted genet on top of a termite mound. About 1km further we found an African Wild Cat in an open clearing. 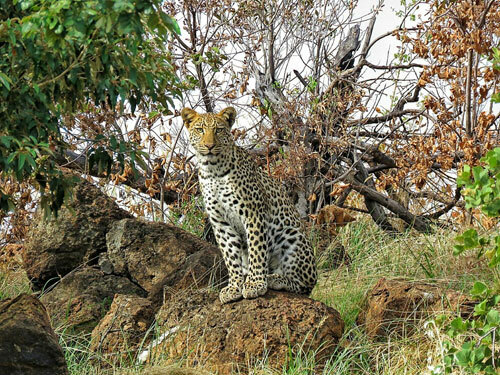 500m later I spotted these 2 big blue eyes, as we got closer we saw the silhouette of a beautiful male leopard. Wow !!!! Raymond who was on a Sundowner Drive told us about a great black rhino sighting : We found Zulu about 50m away. He then noisily approached us and stopped about 7m away. So we all had a good adrenaline rush ! We regularly see crocodiles, hippos, giraffes, bushbuck, impala, waterbuck and kudu along the Olifants River. We saw both Black and White Rhino in the area. A herd of elephants are regularly found on Tremisana property. One night at the Marula Boma there were 3 lionesses drinking at the water hole. Guests, while thrilled, were very nervous throughout the BBQ dinner. We found a lion on a young kudu bull right near Tremisana Lodge – just metres west of Tremisana Dam. North West of Ngwenya dam we found the Thakazile lion pride with a zebra kill – the competition for food was very high. On the 09 January we found Zulu (black rhino) – he came to us as he wanted to investigate us, got to within 2m of my Landcruiser. On 22 Jan a young male lion killed a kudu at Tremisana. We also found a young leopard at Ngwenya dam and a black rhino with its calf so we managed to see 4 of the big five nearby Tremisana on the same day. 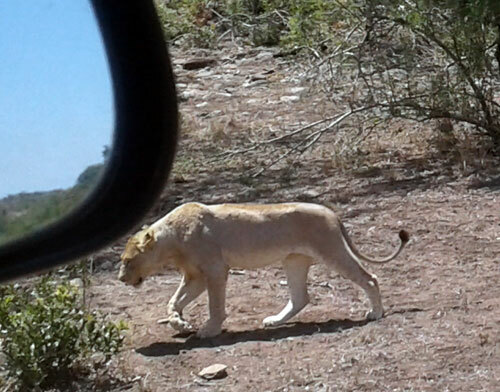 Great sighting of a White Lion on S 100. On Nwamatsatsa bridge we found a big male leopard eating an impala. A hyena approached and they fought and the leopard won and then took impala up on the tree as more hyena were on the way. We regularly see a bachelor herd of elephant and while walking next to the river we always have beautiful encounters with the hippos and crocodiles. Sighting of Hippo in Olifants River while o Bush Walk. Filled with fun and surprises. Never knowing what to expect the afternoon drives are my favourite. We have seen lions, elephants and rhino quite often. One drive we found a beautiful male Leopard in a dry riverbed relaxing in the shade, eventually standing up and stalking a potential prey. The drives have been good. We had the honey badgers, hyena, porcupine and civet all at Marula Boma where we have our BBQ Dinner under the Stars. The guests RAVE about this! 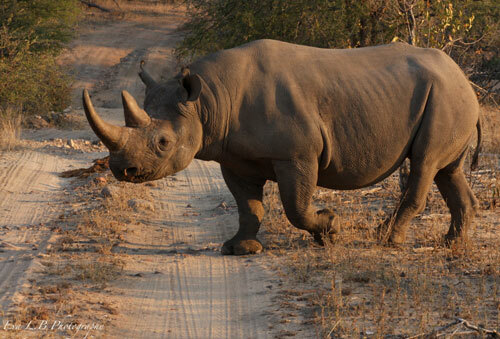 One Sunset Drive we got very close to a Black Rhino – guests were actually scared ! At Marula Boma while we were eating dinner, the hyenas showed up and interacted with 2 honey badgers – it was amazing for our people. The next day on the way to our Bush Walk, I spotted a leopard up a tree with its Impala kill. At Tremisana a male lion killed a kudu – it was amazing to see different vulture species around – the lion was there for 4 days. Tremisana Lodge has seen all woodwork varnished, all mosquito nets revamped, all air conditioners serviced, and an additional staff room built. Elephants pop in during Lunch. 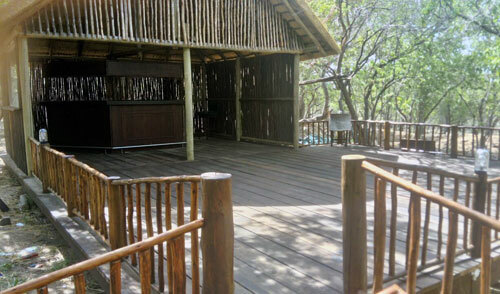 Marc’s Treehouse Lodge has also had all thatch roofs combed and all balustrades varnished. Katekani Lodge has had all woodwork varnished. Masango Lodge has had a Lapa completed – a braai area and a full bar have been tastefully located and there is a spotlight shining on the dam nearby. There has been some concern about the effect that the Cape Town drought might have on tourism in SA. Da sempre sognavo un viaggio in Sudafrica e grazie al Tremisana Lodge ho avuto un trattamento da vera regina! Lo staff è meraviglioso: da Pretty a Eva ai bravissimi ragazzi che ci hanno fatto scoprire la meraviglia dei posti che circondano il lodge. Situado en medio de una de las reservas privada del Kruger, Montmala, a unos 60km de la puerta Orpan del parque. Las cabañas están cerca de un río, por lo que es posible ver animales, unos compañeros avistaron un búfalo. Las cenas y desayunos están muy bien, sirven abundante comida. 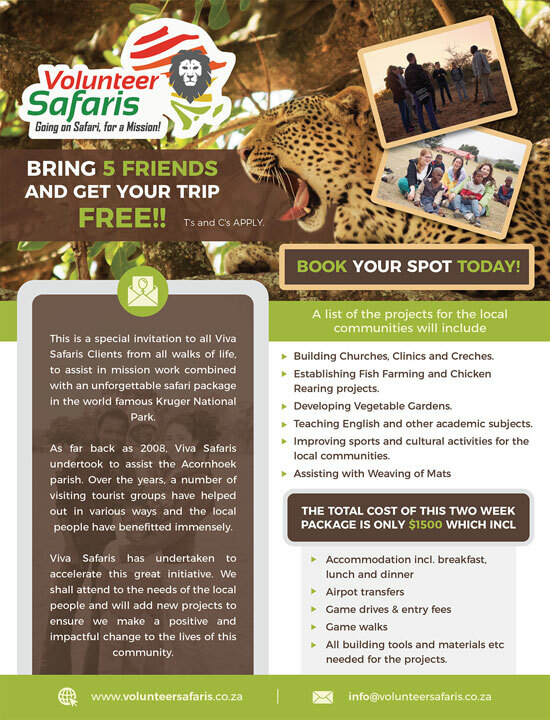 Dentro de las actividades que disfrutamos, destaca el “full day game drive” en el Kruger. También realizamos un Bush Walk en la propia reserva de Montmala. Se duerme fenomenal y los sonidos de la naturaleza que te rodea son alucinantes. My husband and I spent the beginning of our Honeymoon on a 3-night Budget Safari trip. The first night was spent at Tremisana, and then we were moved to Katekani for the last two nights. This was by far the greatest experience in Hoedspruit we could have ever imagined. Katekani offered extremely spacious, and luxurious tented lodging. When we arrived, they decorated our room with flower petals, which was a sweet welcome for us newlyweds. Each lodge is private and has a plunge pool (which would have felt amazing, however we were there during winter so couldn’t take advantage). I absolutely loved how private and peaceful the entire lodge was. We were just a minute’s walk away from the shared outdoor dining space. Evening turn-down service included a warm water pack in the sheets. They also had a warm fire ready in the evenings after returning from a night safari drive. Henry was the Chef on staff and prepared nothing short of mouth-watering food. Whether it was breakfast, lunch, or dinner, all food was prepared and served with high-quality ingredients. Upon being served, Henry always described what he included in each meal. We loved the extra attention to detail. He was also very accommodating to other guests we dined with who were vegetarian. 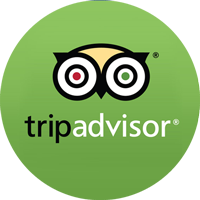 From check in to check out, we were never disappointed. We would choose to stay here again, and highly recommend to anyone visiting South Africa. We are forever grateful for the experience and memories made here. In conjunction with Fr Jerome, Comboni Missionary working in Acornhoek, we held our annual Christmas party for the Orphans. We collected 20 orphans from Acornhoek, brought them to Tremisana for breakfast, took them on a bush walk ( thanks Elias with the big gun and Eva), took them on a game drive, had a BBQ lunch at Marula Boma, handed out fantastic presents ( thanks to friends, family and my Confirmation class at Blessed Sacrament parish in Durban), returned to Tremisana where all 20 fitted snugly into the pool ( temperature of 37C ) and after tea, returned them safely to Acornhoek. Thanks to all involved. May God Bless you for your generosity. 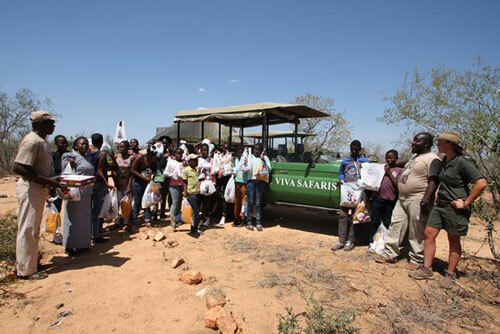 Group with gifts at Marula Boma. 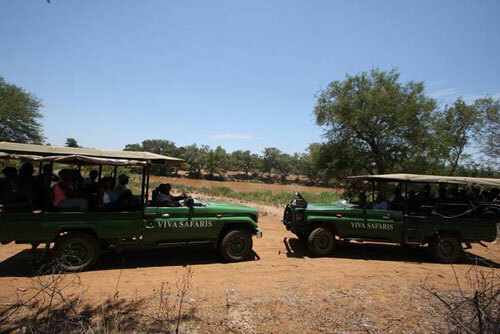 Group on Landcruisers near Oifants River.